The pistols: I’m going to be honest, I rarely use the stock pistol. It seems completely outclassed by the Pretty Boy’s Pocket Pistol, which is covered further down. For that reason, if I’m using stock pistol I’ve probably also got the scattergun and bat because I’m going all stock. It has good spread and burst damage without much need to aim, but its accuracy is pretty low and I usually feel my time would be better spent reloading my scattergun. It’s also good for destroying sentries while out of the sentry range. Cosmeticwise, I’ll probably be wearing stock hat and Barely-Melted Capacitor to go with the stock theme. The Winger thanks to the July 10 update now gives a minute jump boost when held; I’m going to be honest and say I’ve barely found a use for this. The Pretty Boy’s Pocket Pistol seems the best pistol by far. +15 base health and falling damage immunity, and the natural speed to stay out of pyro’s flame radius unless he catches you unawares. The slight firing speed penalty almost seems like a buff because it helps me land my shots because they’re more spaced out. Just make sure you equip the Long-Fall Loafers for the obvious synergy. Candy Cane also goes well with it; the +15 helps you survive explosions, the Candy Cane health kits can extinguish you and save you from the pyro. Hypothetically the Shortstop would also pair well with both because it deals optimal damage outside of flamethrower range and health kits would give you significantly more health, but I refuse to use it because it messes with your scattergun aim something fierce. I’d give the Pocket Pistol third best secondary in the Scout’s arsenal. Picture by Gen. DeGroot. The Drinks: Bonk! is an undervalued unlock. As the Medigun proves, invincibility is a serious boon. 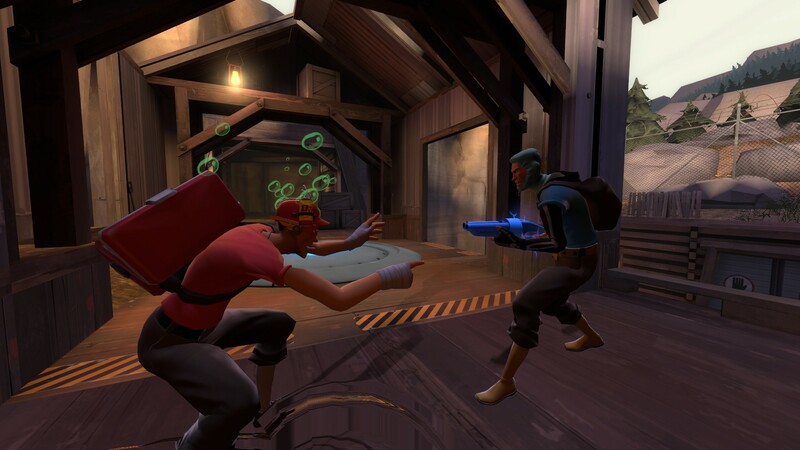 It gives scout a chance to reach the flank on spammy maps and a mildly risky Get-Out-Of-Death free card, though more than enough things can go wrong to prevent it from being too frustrating for enemies to fight. As previously mentioned, it’s best on ultra-spammy maps. On Payload offense it can also be useful for distracting a sentry if you trust your teammates and have good communication. Best cosmetics: Bonk Helm, Bonk Boy and Caffeine Cooler. If you’re gonna go Bonk, go all the way. Crit-a-Cola is certainly not bad, but it sure makes you fragile. A great unlock if you know what you’re doing, and I see how it would be useful to get that speed boost right at the beginning of the round and beat everybody to the objective, but it rarely sees use in my loadouts. If I’ve equipped it, chances are good I’m using it with the Boston Basher to fly insane distances nobody is expecting. Plus when Bonk meets Crit-a-Cola, Bonk wins. Picture by Gen. DeGroot. The throwables: These two barely qualify for comparison, they’re so different. 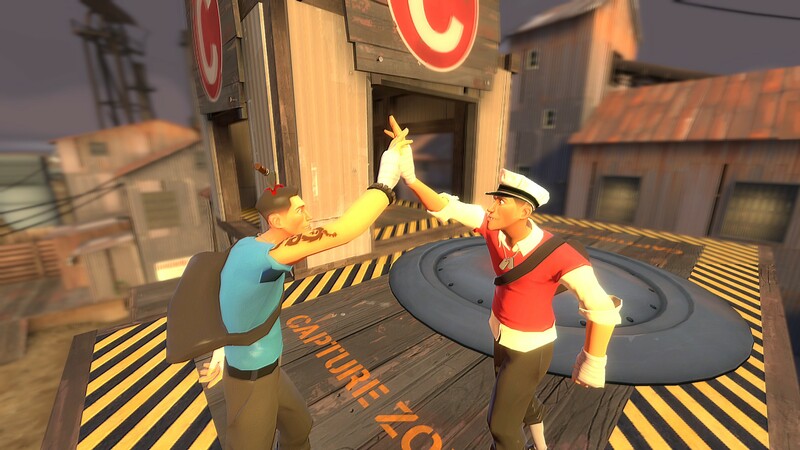 But they’re also similar in that they’re my two favorite scout secondaries. I’m willing to say that Sandman/Guillotine is my favorite scout combo, and gives him great coverage across the board. Whereas previously he had a weakness at mid-to-long range, the baseball completely covers that. Then just to rub it in, the guillotine 1 shots 5/9 classes, with bleed damage rounding out to an insane 195 total. And you haven’t even fired a shot yet. The Guillotine regenerates extremely quickly and is comparable to the pistols for suppressive fire/damage output because of it. However, sometimes the map is too spammy and 110 hp doesn’t cut it. Then I bust out the Mad Milk. An extremely versatile throwable, Mad Milk is capable of spychecking, aiding your entire team via health regeneration, extinguishing flames and dissuading enemies from pushing/pursuing. It gives an incredible amount of options as a scout and honestly should be the go-to secondary when picking enemy targets is not your goal. Almost any melee goes with the Mad Milk; I like Wrap Assassin for the potential bleed+regeneration combo, but Atomizer is a solid choice and the good old Sandman hasn’t stopped being a great melee. I’m very pleased with the variety in my Scout secondary slot, it keeps the class interesting. It also makes me feel like there is always something I can do to switch things up to confront changing situations on the battlefield. You know, unless there’s a sentry. 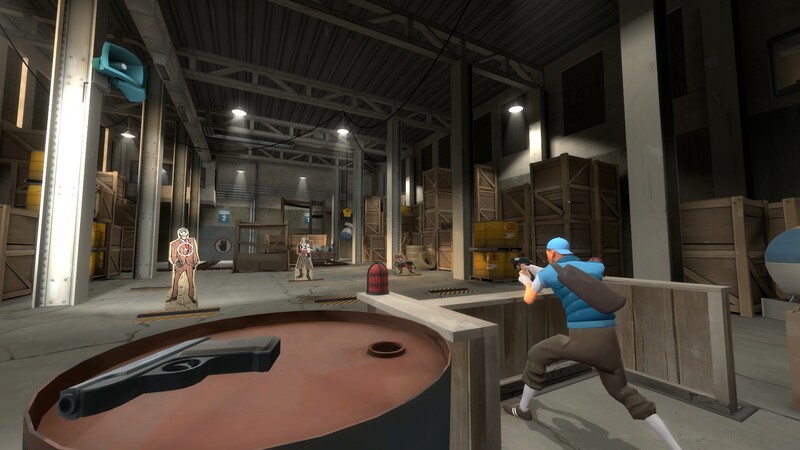 Release the Saboteur 66 already, Valve.